We’re back with another “Good List” blog circle. We had so much fun with the Glam Girls Guide that we gladly jumped at the opportunity to join 9 other bloggers in sharing some more fabulous gifts with you. In the true spirit of Christmas, we decided that the best gifts are the ones that give back. All of the gifts we have selected are not only fabulously stylish, but they support very important causes. In this season of love and compassion, we hope you take the opportunity to spread some cheer to those less fortunate. Enjoy! Every pet lover I know goes above and beyond to pamper their four-legged children. The above bed from AlphaPooch is part of the “Shelter Certified” program – for every bed you buy, another is donated to homeless pups in shelters across the United States. 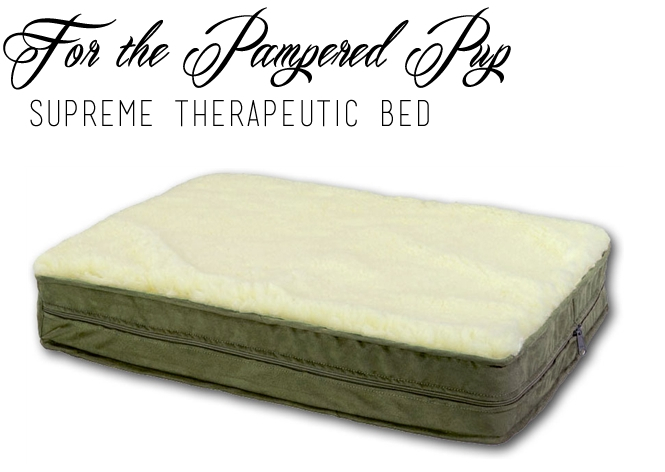 The Supreme Therapeutic Bed ($149) is great for dogs of all ages, and your purchase goes a long way to make a shelter dog a little safe while waiting for a forever home. WeWood is a company with a mission to rebuild the ecosystem. Their emphasis on nature lets us rediscover its beauty, its simplicity and inspired design. 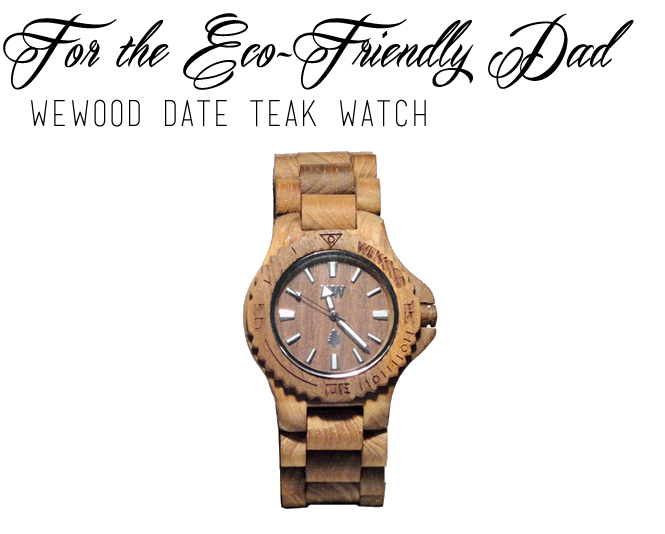 The Date Teak Watch ($120) is hypo-allergenic and free of toxic chemicals. And with this purchase for your Eco-friendly Dad, you’re not only giving a watch but you’re also planting a tree. Warby Parker has a variety of optical and sunglasses for the stylish men in your lives. Various optical styles ($95+) are available online, and each pair also gives the gift of vision to those in need. Why is this important? Approximately one billion people don’t have access to affordable glasses. Glasses can increase one’s income by 20%, enable students to see a blackboard and offer dignity to those with poor eyesight. Believe. Courage. Love. Faith. Hope. Powerful words with the powerful ability to transform lives. The Giving Keys employs those looking to transition out of a life of homelessness. And they carry a message that is meant to be passed around to those who need inspiration. Real stories of life that inspire are available online. 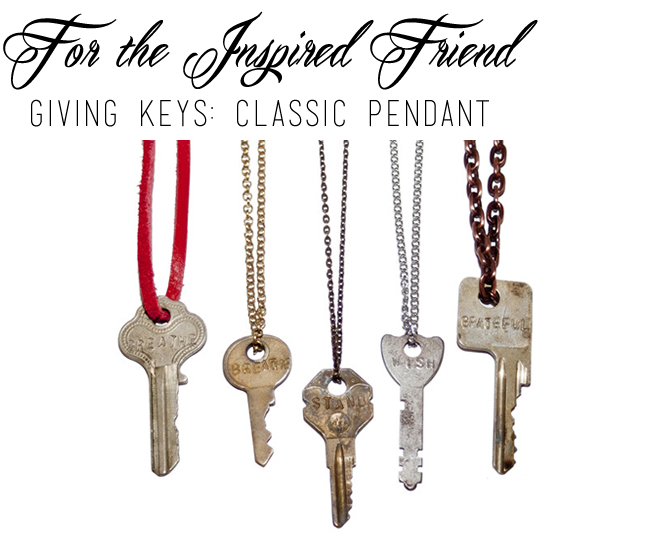 The Classic Pendant ($35) is available in a variety of words, or you may customize with a personalized word. Green and renewable, these bamboo skateboards make a better ride and are socially responsibility. Bamboo Sk8‘s commitment to giving goes beyond the environment, they also reach out to the communities to show compassion to at-risk youth. 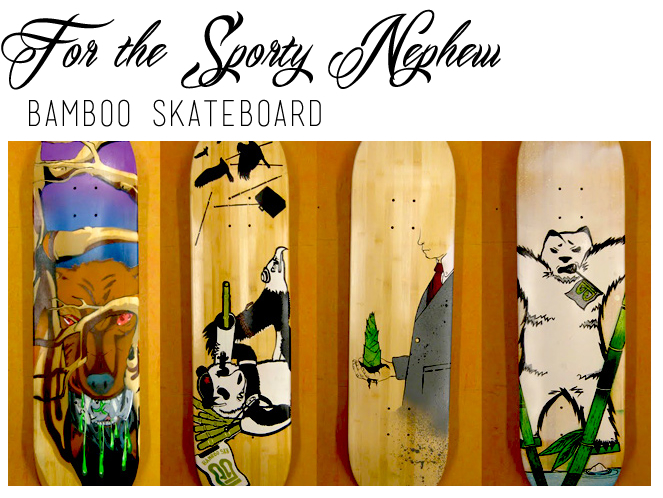 For every 100 boards purchased, one is donated through their community partners. Numerous decks and boards ($35+) are available in a variety of unique graphic designs. This is a bracelet that makes a difference in the lives on precious children across the country. 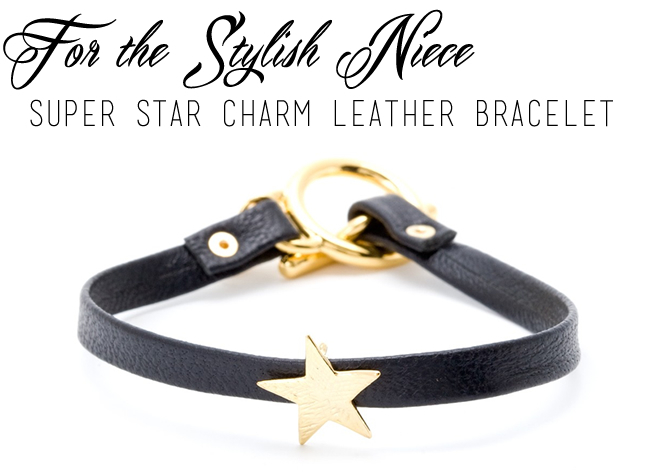 The Gorjana Make a Wish Leather Charm Bracelet ($45) was designed especially for the Make a Wish Foundation. Half of the proceeds go to this organization to help give hope, strength, and joy to children with life-threatening medical conditions. We hope these gift ideas give you some great ideas for loved ones throughout the year. The Blog Circle is not done…hop on over to Gin and Juiceboxes to view Jessica’s curated list. The giving keys are awesome. I know! Such a great idea – employing those in need and giving inspiration to those when they need it the most. It’s like a “pay it forward” gift. I’ve never seen those glasses before and LOVE them. Both the style and that they give a pair to someone in need 🙂 Good find. They’re fabulous! And great prices as well. They have great styles for ladies, too. Those keys are charming. I’d love to have one! Thanks – we loved them, too! Such a great idea. OK – That watch is absolutely COOL! I know!! They have a lot of really cool watches on the website. If you haven’t already checked them out – you should!